"Our life is shaped by our mind, for we become what we think." Dhammapada as translated by Eknath Easwaran. 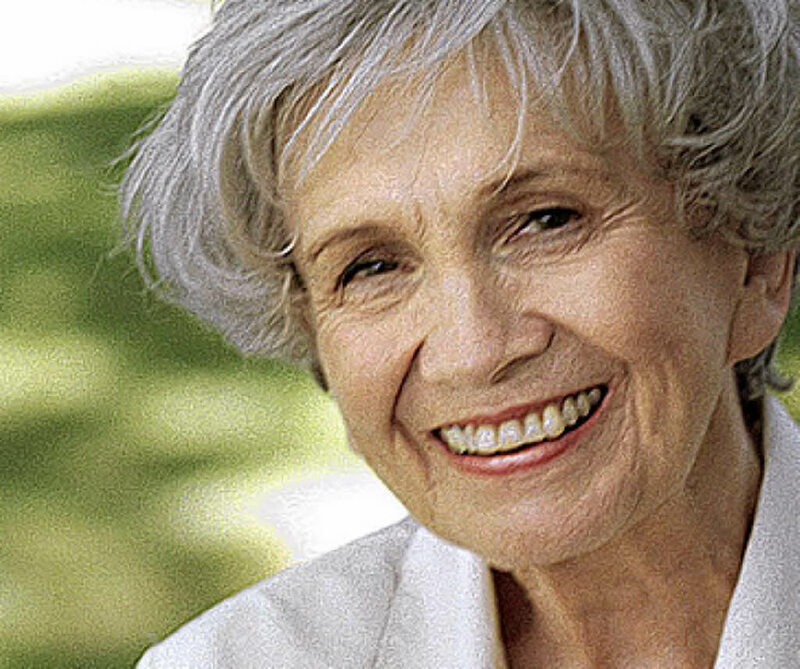 Alice Munro "Walker Brothers Cowboy", "Friend of My Youth", "Save the Reaper"
Lorrie Moore's introduction of Alice Munro situates her along side Flannery O'Connor and Margaret Atwood. Our editor relates the regular comparison of her master of short fiction to Chekov. Pretty good company, huh? Munro's stories, and here we've got a fantastic sampling of three to discuss, are captivating and full of wonder and curiosity. In no small part, this power is drawn out of Munro's narrators who are - and this is pretty cool - captivated and full of wonder and curiosity about the events of the story! Let's take "Friend of My Youth" as an example of this movement. Our main narrative regards two women, Ellie and Flora. We're mostly concerned with what happens to them. Now, those two women have a friend, and that friend has a daughter, and that's our narrator. Shouldn't we be scratching our heads at this? Wondering just what the hell is going on and what's with all this narrative distance and conceptualization of Ellie and Flora when Munro could just give them to us? Well, here's part of Munro's magic. Her narrators are writers. Maybe we don't see them with a book and a cup of coffee and ink-stained jeans and a string of hapless romances. But they do the work of writers; they engage in theory of mind, projecting thought and rationale onto others, they search for cause and attempt explanation, they ask themselves questions and constantly speculate. 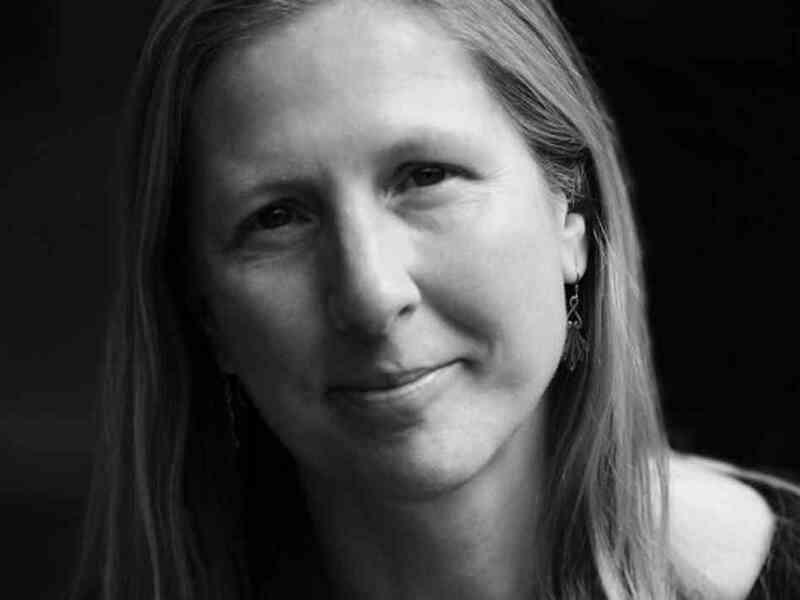 Munro's curiosity permeates her pages, giving depth to her characters and bringing them to life so that we as readers do not say, "Hey, this story seems to be from a peculiar perspective." Instead we say, "Hey! That's a good question. I was just going to ask that." 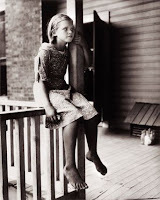 Eudora Welty: "A Worn Path," "Why I Live at the P.O." and "No Place For You, My Love"
"Eudora Welty won eight O Henry awards and the Pulitzer prize, was awarded the Légion d'honneur, became the first living author to have her works published in a Library of America edition, and was long considered a likely recipient of the Nobel. Long before her death in 2001, aged 92, she had become the grande dame of American letters: an infallibly polite and humorous southern lady who still lived in the same house, in Jackson, Mississippi, where she was born. It's a portrait that tells nothing of the cryptic brilliance of her best fiction." Thus begins the post by Chris Power on Books Blog, of the Guardian, in "A brief survey of the short story." It's worth reading, if you want a quick peek into Welty's work. And a more recent image than this one of her as a girl, barefooted. I never had given Eudora Welty a real look until recent years, when I finally learned to read. Now, she is one of my favorites; her short stories in the collection, A Curtain of Green, are some of the best stories I've ever found. I like Powers's phrase "cryptic brilliance." When I met with David Joseph today to discuss our takes on these three pieces, I shared my readings of the cosmic scope of the very grounded worn path, and my love for the otherworldly possibility in the story about the haphazard couple driving south from New Orleans. These stories blow me away, but I think, no, I know, that it's because I have given myself over to them. Welty demands it. If you spend time with these stories, they will take you mysterious places, like on a long, slow, painful walk, or a wild ride. You might discover joy in a paper windmill, or you might, in horror and shriek, fall in love. She'll reads at Susquehanna on March 18. I will be listening for her big Michigan accent, her love of drama, a sense of humor mixed with violence, and the fairy tale gone modern.